GBII is constructed of fibreglass and foam sandwich to give the lightest possible displacement, hence greater speed. Designed to be the fastest yacht in the world, she was purpose built for Sir Chay Blyth CBE BEM to enter and win the first Whitbread. From the moment the historic launch in 1973, GBII’s racing successes have made her a legend on the seas recognised everywhere she goes. 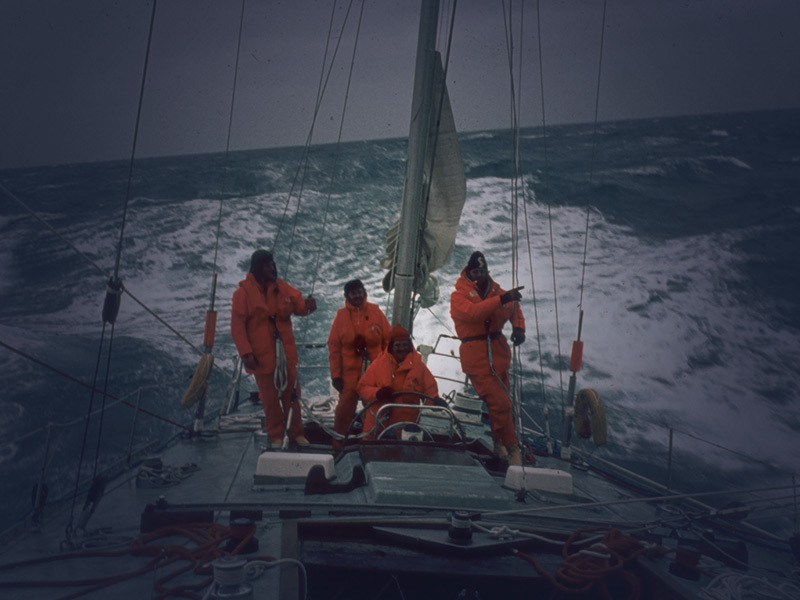 Her unique achievements were recently recognised at the Volvo Legends Reunion and Regatta in Alicante when she received the Ian Bailey-Willmot award for embodying the spirit of ocean racing. 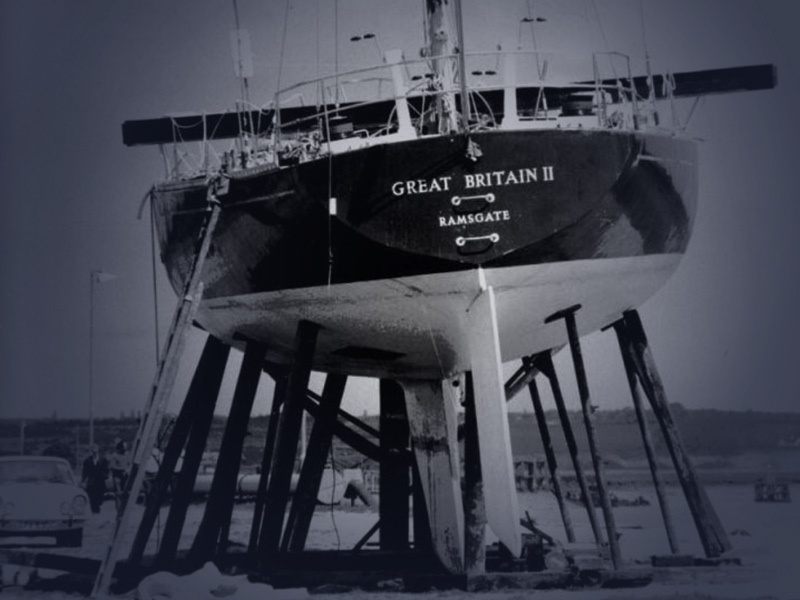 GBII (re-named to reflect her history and the Scale of her achievements) was launched by HRH Princess Anne in 1973 as Great Britain II and was skippered by Sir Chay Blyth with a crew from the Parachute Regiment in the first Whitbread Round the World yacht race. She won this inaugural event on elapsed time, sailing 27,120 miles in 144 days 10 hours at an average speed of 7.41 knots, a new world record. She went on to win the second race on elapsed time four years later. 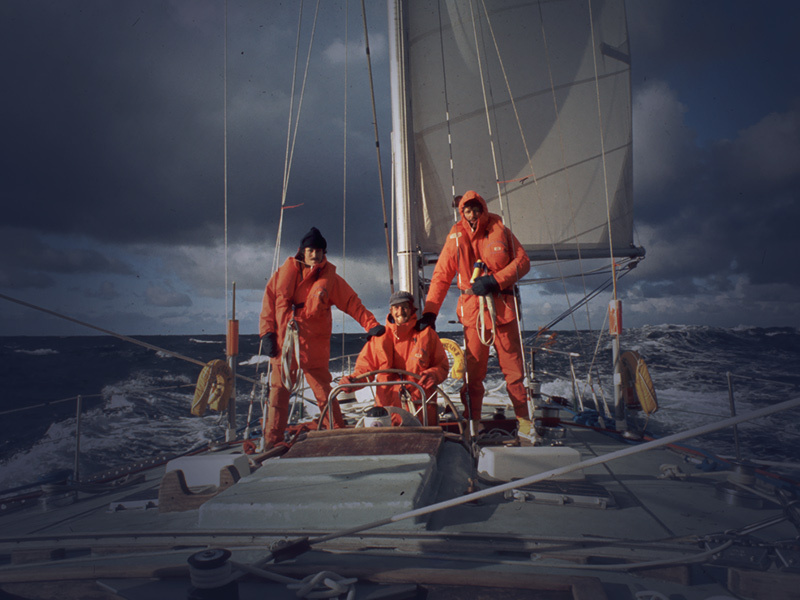 GBII has taken part in every Whitbread Round the World Race and was the first yacht to race five times around the world. Today GBII has been in the care of a private family for some fifteen years. 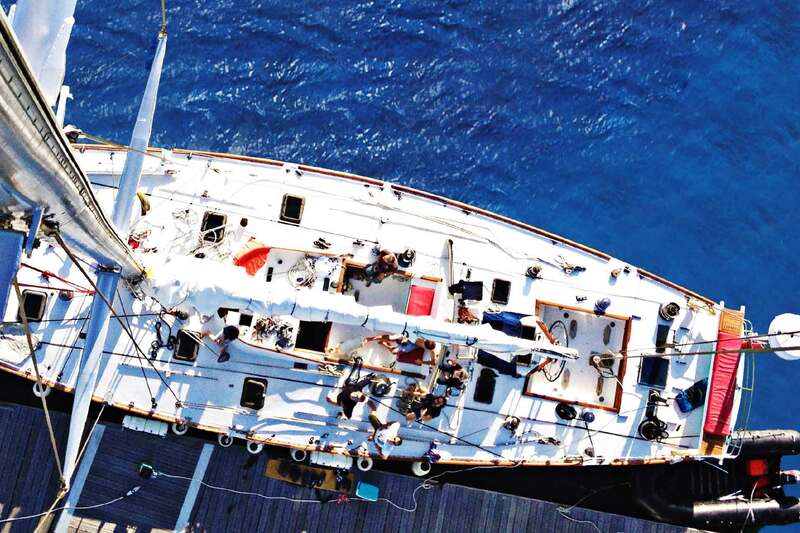 She regularly crosses the Atlantic and can be seen cruising in the Mediterranean as part of her busy programme combining cruising with display sails at events including Cowes week, Antigua race week and others. Below the yacht has been converted for cruising with many original features retained. 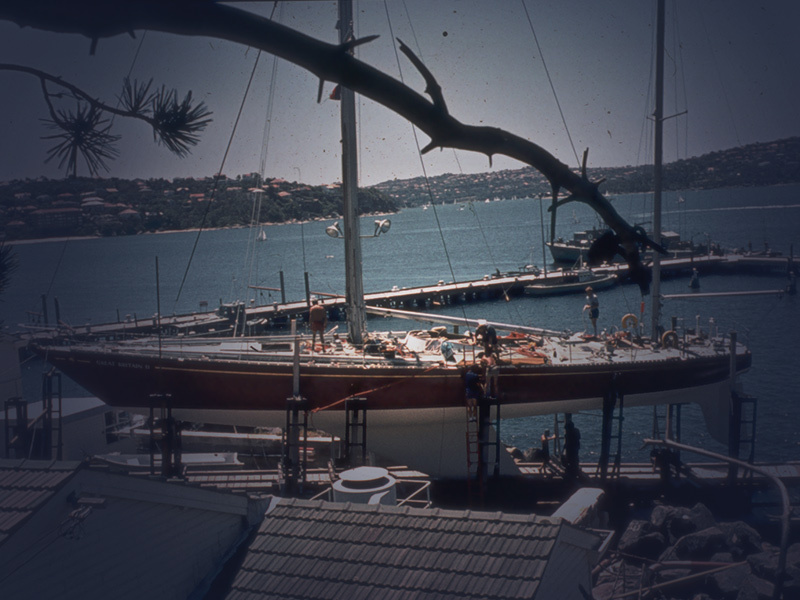 She is now rigged as a sloop however the deck layout is almost identical to that Sir Chay Blyth designed back in 1974. 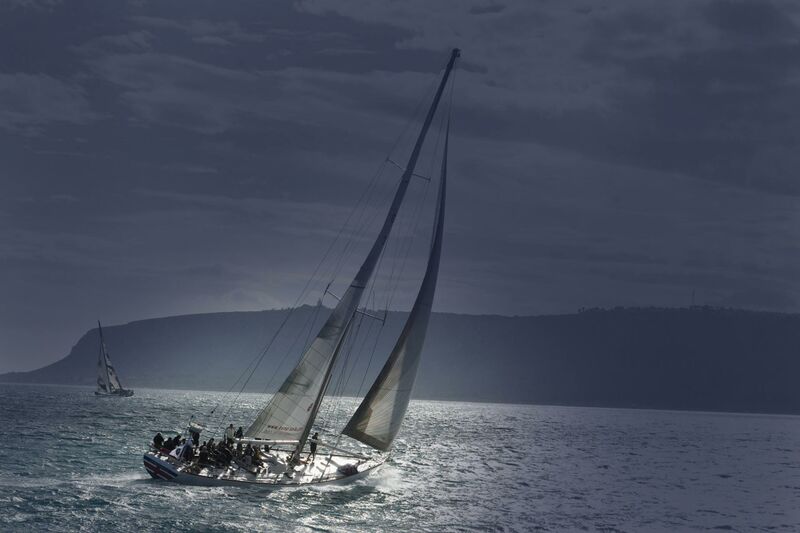 Cowes is known as the International home of yacht racing with “Cowes Week” being one of the UK’s longest running and most successful sporting events. 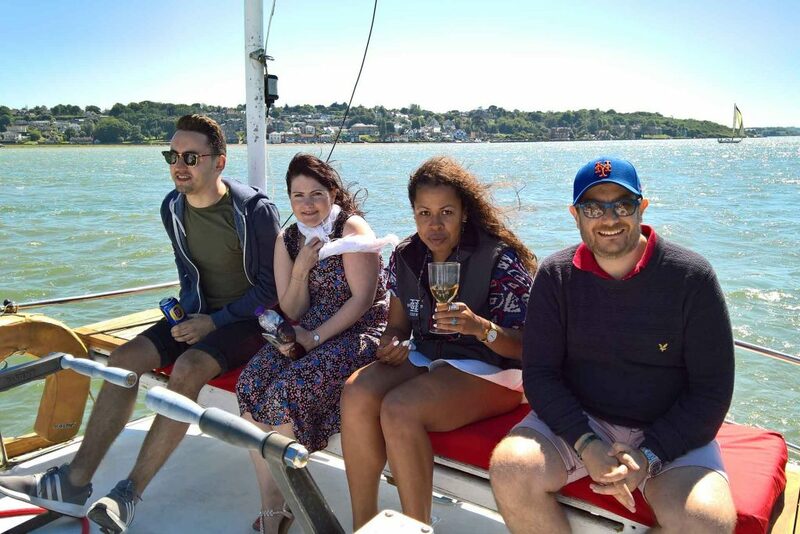 Treat your guests to a full Cowes hospitality experience, enjoy a great mix of classic sailing and social activities that are renowned at this prestigious event. 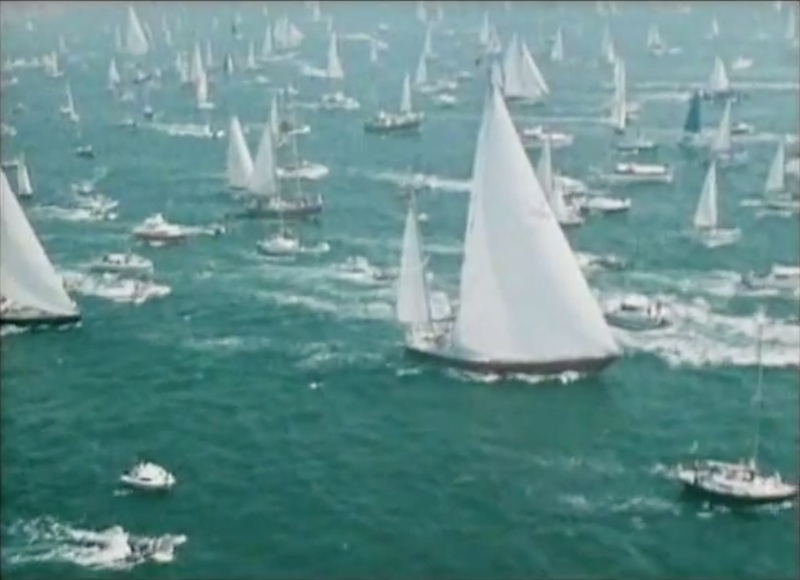 There are up to 40 daily races for over 1,000 boats making this one of the largest sailing regattas in the world. The Isle of Wight sees more than 100,000 spectators come to watch the sailing, enjoy the parties and live entertainment, allowing you to experience the unique atmosphere of Cowes, in a very special way. Enjoy corporate hospitality at its finest on board your own private luxury sailing yacht, spending a memorable time with your most valued clients literally standing in the feet of legends. 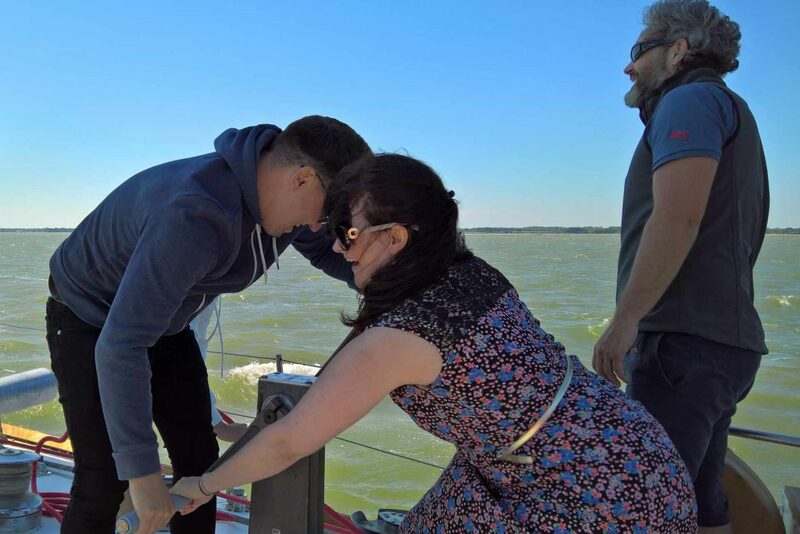 Enjoy the relaxed atmosphere and spectacular colourful views of the yacht racing that brings the Solent to life on board this piece of History. It will make it an unforgettable day for you, your clients or staff all being looked after by our professional attentive crew making this day special for you. 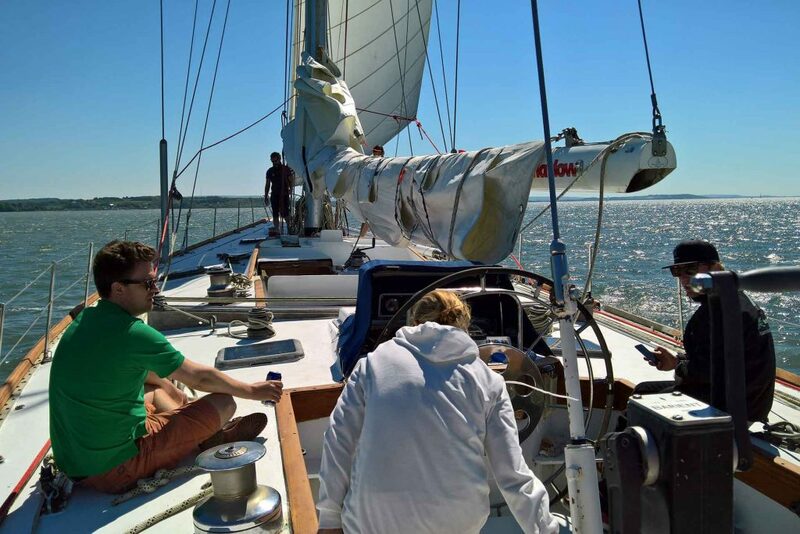 09H00 Guests meet in Cowes and are greeted onboard by our skipper and crew with bacon sandwiches and coffee. 09H30 Following the skipper briefing, we will sail onto the Solent waters bound for Yarmouth on the Isle of Wight. Tea, coffee and soft drinks are available all day. 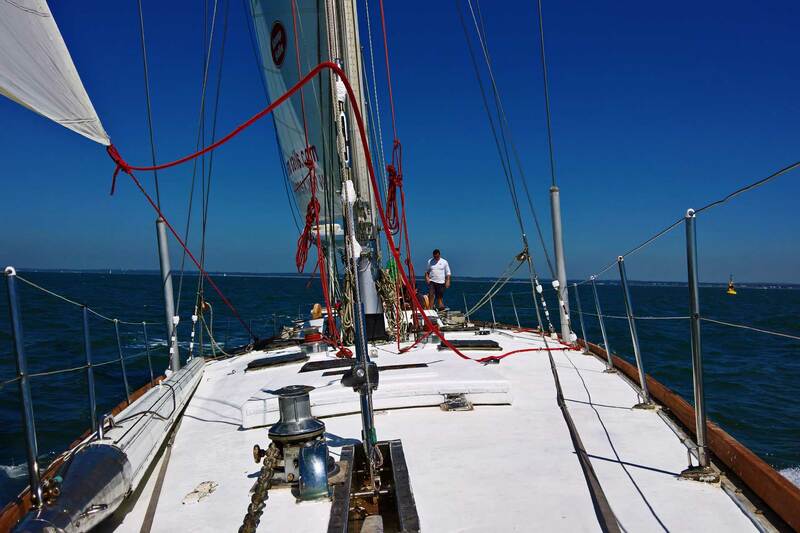 12H30 In Yarmouth we will drop anchor and after transfer ashore enjoy a 2 course lunch at Salties Bistro (soft drinks included). 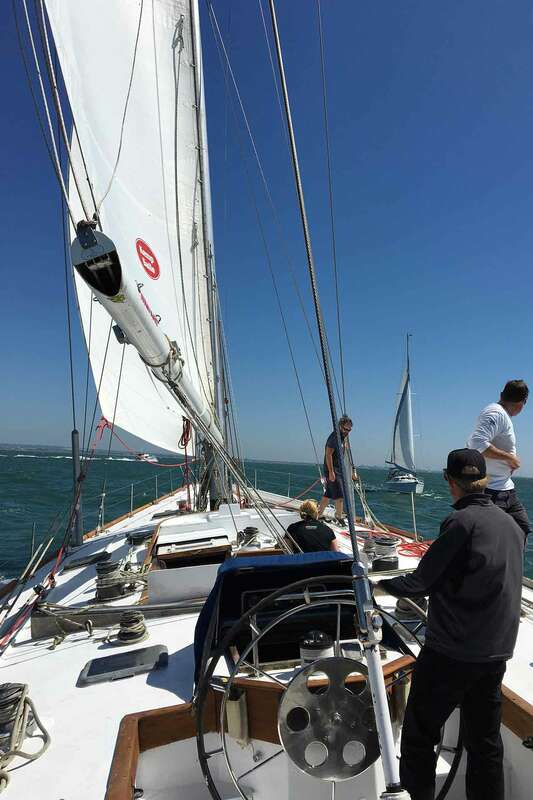 14H00 Up anchor and a gentle sail back to Cowes with afternoon tea and cakes served on the way. Look the part or take home the memories with our high quality merchandise, suitable for a corporate welcome gift. 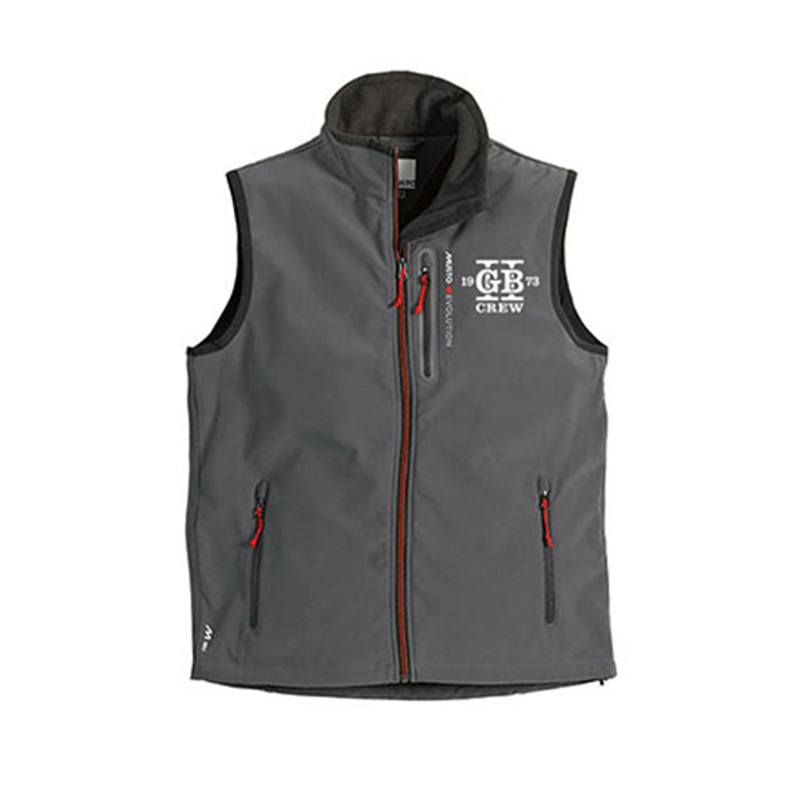 A re-styled technical sleeveless jacket with high resistance to wind and Durable Water Repellent finish making this a versatile garment across a wide range of temperatures. 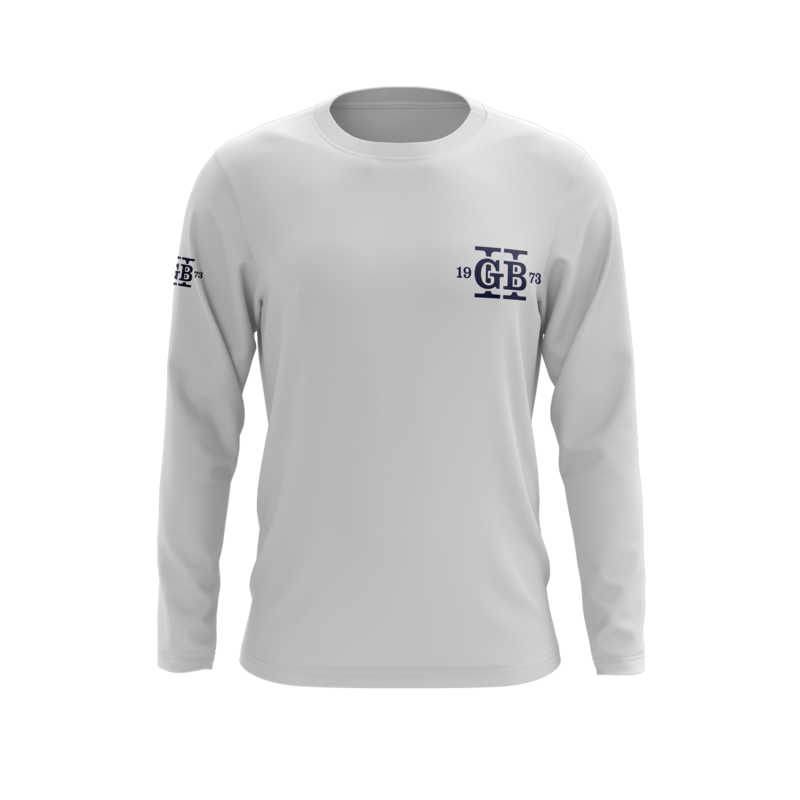 Great crew shirts...outfit the entire team! Also an effective technical base layer...plus SPF 40 protection! 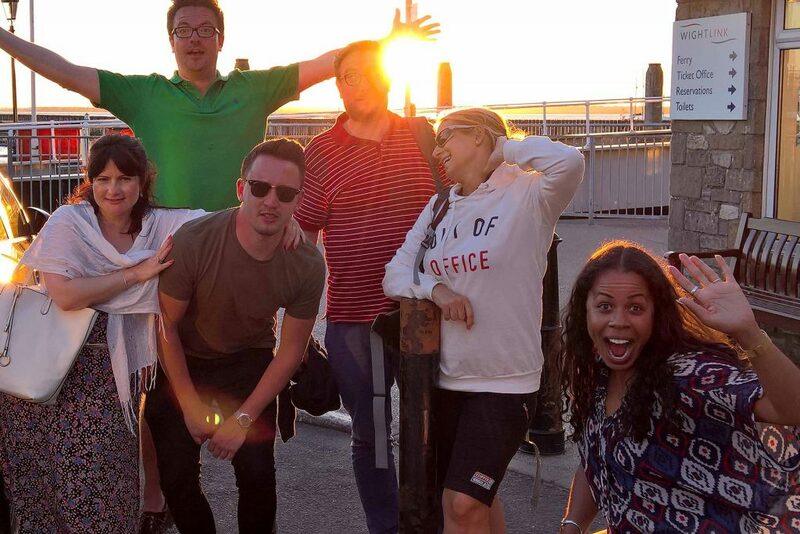 For further information regarding GBII hospitality packages, please fill in the form and we'll get back to you with the prices and custom packages.